You Can Conquer Cancer has sold more than 250,000 copies worldwide and is one of the most widely read books on cancer management and survival. 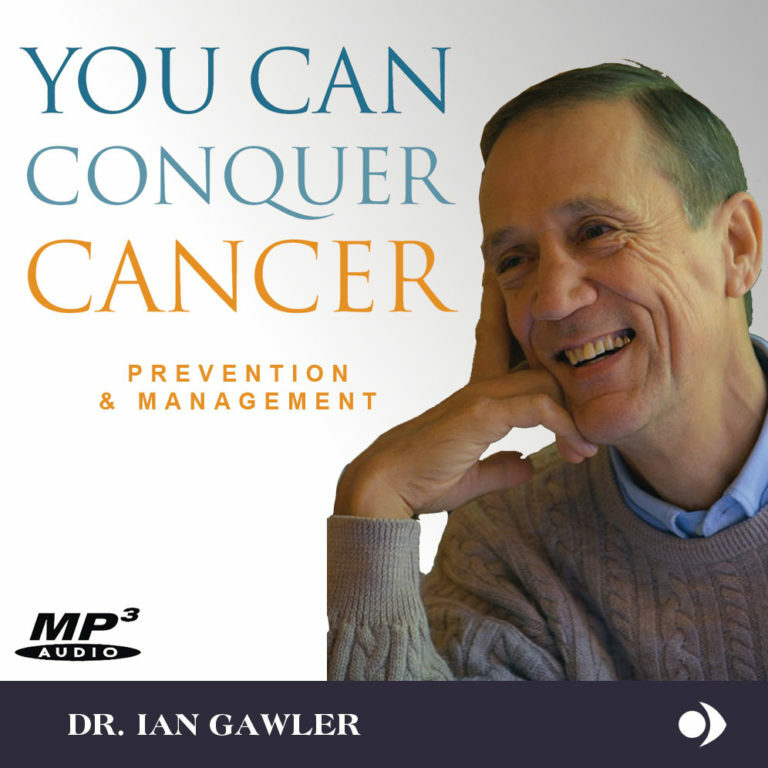 This digital audio version, available for the first time ever exclusively from the Ian Gawler Webstore, provides a truly integrated, holistic approach to cancer; emphasising nutrition, the power of the mind, meditation, family/social support and the spiritual dimension of life. Dr Ian Gawler, as a young veterinarian and decathlon athlete, had his right leg amputated with bone cancer in 1975. The cancer returned later that year. Against almost impossible odds, he recovered and went on to found Australia's first life-style based, cancer self-help and support program. The First Step - How to begin. Meditation - The principles behind the silent healer. Meditation - Practicing the art. Relaxation - The key to appropriate action. Positive Thinking - The power of the mind. Pain control - It is only pain! Diet - The Principles - A logical approach. Diet - The Psychology - A positive state of mind. Diet - The Practice - Good food and how to prepare it. The Causes of Cancer - It is all in the mind - or is it? Dealing with Stress - With knowledge and love. Death and dying - An integral part of living. The Principles of Healing - Health in the balance. The Mystery of Healing - The message of the extraordinary. The Mystery of Life - A framework to live within. IMPORTANT: This unabridged audiobook consists of 8 individual recordings contained within one large zip file, each with 25+ tracks per recording. The audio tracks have been optimised for use on devices capable of playing MP3 recordings. The zip file is is approx. 500MB in size so please be patient when waiting for the zip file package to download to your computer. Total download time will depend on the speed of your internet connection. An abridged audiobook is a shortened version of the book. You'll get the main idea of the book just not all the content. An unabridged audiobook contains all the original content of the book - the whole kit and caboodle! "What Ian Gawler discovered through experience, science is now proving. There is hope for people with life-threatening cancer, and this book is where to find it." "A wonderfully practical, inspiring guide both for preventing and healing cancer. Ian Gawler’s personal experience as a cancer survivor coupled with the tremendous wisdom he has gained in running life-styled based cancer self-help groups, gives this book a rare depth and richness." "An exceptional man with an exceptional story about recovering and healing. This is not only about cancer, but about your life choices… Ian Gawler is a man who has lived the message. He is an inspiration to all those who are confronting their mortality due to serious illness. His story shows us how we can make a difference and participate in our lives, our health, and our ability to survive"
"Should be required reading for all who care about healing and cancer"